A new study published in Nature Geoscience shows that lakes in the northern hemisphere will probably release much more carbon dioxide due to global climate changes. A new study published in Nature Geoscience shows that lakes in the northern hemisphere will probably release much more carbon dioxide due to global climate changes. The investigation, based on a large amount of data from over 5 000 Swedish lakes, has been led by professor Gesa Weyhenmeyer at the Department of Ecology and Genetics of Uppsala University, in collaboration with colleagues in Denmark, the Netherlands and Brazil. There are two main carbon dioxide sources in water. It can either be produced by micro-organisms, especially in lakes, or it can be washed into the water from the surrounding area. In order to make statements on future carbon dioxide emissions, it is very important to know where the carbon dioxide in the water comes from. Earlier test results from individual aquatic systems showed that CO2 is mainly produced by micro-organisms in the lake itself. In the present study, researchers show for the first time that this applies to less than half of all Swedish lakes. 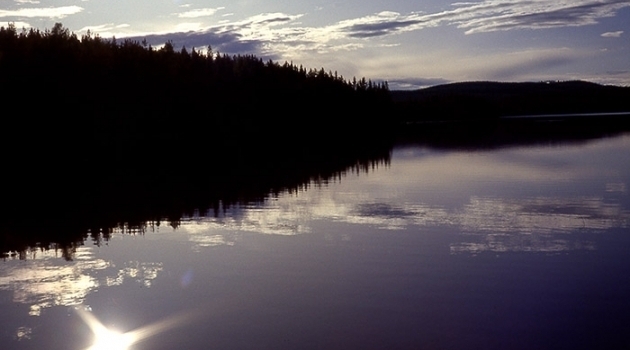 ‘In most Swedish lakes, the carbon dioxide originates from the surrounding land from where it is washed into water courses and then into lakes which then release CO2 into the atmosphere,’ says Gesa Weyhenmeyer. The study also shows that the amount of CO2 produced in the lakes and from the influx of CO2 from the ground both increase in warmer and nutrient-rich climate zones. For this reason, changes in land use are also very significant. The study reports that a small lake in southern Sweden surrounded by farmland releases twice as much CO2 as small lake in northern Sweden surrounded by forest. ‘There is a considerable risk that carbon dioxide emissions from lakes and water courses, especially those in northern Scandinavia, Canada and Russia, will increase as the climate warms up. And it is in these areas that most of the lakes are located,’ says Gesa Weyhenmeyer.